Have you heard people talk about this? At the hospice place where I work, I sometimes hear a nurse, or even a family member say, "A bird hit the window this morning, I'm sure mom's getting ready to go soon." In fact, it's not unusual to have a day when several rooms have a constant barrage of tapping from birds flying into the glass. "Bird flies at the window, Death knocks at the door" is a phrase that has been repeated by kids for centuries. The roots of this reach far back. Because of their ability to fly, birds have eternally been connected with the heavens/afterlife. Birds aren't just associated with death, but life as well, as in the common story that a Stork delivers new babies into this world. There really is no culture exempt. In Egypt, China and Japan the Phoenix symbolizes rebirth, from ancient myths of the bird constantly being reborn. In Syria, Eagles are on tombs to lead the souls in the afterlife. In the Jewish and Christian culture, it is the dove that represents the soul. Both the Celts and Greeks believed the soul would reappear as a bird after death. There is an Islamic tradition that believes that dead souls remain as birds until judgment day, whereas the Hindu's use birds to symbolize the form the soul takes in between earthly lives. With so many cultures viewing birds as the representation of human souls, you can guess when a bird suddenly acts strangely, we take notice. 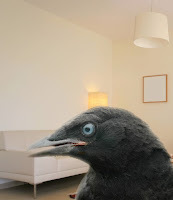 Before there were glass windows, the superstition was that if a bird flew into your house and perched on someone's chair, then a death would occur within that home in a year's time. Now, not too many birds make it inside, but all it takes is the unusual event of a bird trying to get in, hitting the glass pane, and then when an untimely death occurs the two events become connected. Such was the case for Lucille Ball, who at the age of 3 recalled that a bird flew in her house and became trapped the day her father died. She was so convinced of this superstition that she refused to stay in hotels that had bird wallpaper or pictures of birds on the walls. Some may wonder is one type of bird more ominous with this superstition? It seems there are several to worry about. In the Cherokee tradition it is a red bird that provides the connection with the deceased. The Red Bird Center provides the story behind this belief. The other birds to be leery of if they are trying to fly in your house are the sparrow, the robin and the raven. Anyone with stories of their own? Interesting. Is there a possible parallel to the superstition that deaths come in threes? I couldn't figure out how to post an mp3 to the site. But I am including partial lyrics to the Sufjan Stevens' tune "Casimir Pulaski Day." You can find the song on iTunes and I'm sure elsewhere. It's from his "Illinois" album. Amy actually beat me to the punch on Casimir Pulaski Day. I was planning on writing on it and I saw that she had already scheduled a post for it in a few weeks. That song was one of the songs that made me want to start an arts blog on Pallimed. A couple of Google searches for some other bird associations. A book: Chasing Redbird about: "Chasing Redbird is a complex and exciting work of fiction, that explores real issues teenagers are dealing with, including death, identity, and relationships." A book of poetry by Mary Oliver: "Red Bird" comes three years after the death of her long-time partner, muse and literary agent, the photographer Molly Malone Cook. I might just sound like a superstitious weirdo. When my mom was younger a bird hit a window and my German grandma (her mom) said that when a bird hits a window someone is going to die. After that, my moms uncle died. Just this summer, on June 25th, I was feeling sick. Me and my mom heard something thud into our patio door. My mom said "uh Oh, do you know what that means?" so she explained it and the story above this one. We weren't really worried about it and went about our business. A while later I took a benadryl thinking it was allergies. It made me drowsy and I zonked out on the couch, when I woke up disoriented, I looked at the TV, Michael Jackson had died. I am a Lutheran I believe in GOd so think what you want but that dosen't seem like normal behavior. Thanks for sharing your story. I think you perfectly describe the way that superstitions begin. Event A happens, followed by event B. Maybe it happens again. Then the next time event A happens we start looking for event B and inevitably find it. Now are they really linked or is it just a coincidence? I think this is something we see often in medicine when all we have is anecdotal evidence about certain treatments or procedures. That's why we do studies. Eliminate the bias. Someone needs to do a Bird Hitting Window study. Just posted "Do it again" by Nada Surf which could easily be seen as a song about impending loss and mentions 'just sitting here waiting for birds to sing.' 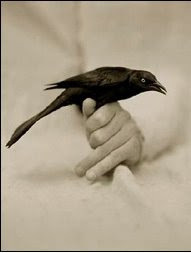 I could see that as birds singing means things will get better (a la Snow White) or the classic bird = death theme we have seemed to hit upon as if the dying person's spirit/characteristics has been transferred to the bird who now sings and flies away. While researching birds and songs and the relation to death and dying I also stumbled upon The Grateful Dead's Bird Song. Pretty easy when you google 'dead bird song'. Apparently Robert Hunter wrote it as a tribute to Janis Joplin and later changed the gender to reference the death of Jerry Garcia. the day a bird flew into a window, my dad had to go to the hospital to have his appendix removed! a bird just flew into our window a few minutes ago...yikes! My Great Grandma died, a Robin hit the window. My Great Grandpa died, a Cardinal hit a window. My Grandpa died, a Cardinal hit the window (that was his favorite bird). When my Grandma passed, she passed away in North Carolina where she used to feed Gold Finches. I was raised by my Grandparents in the south. The day after the funeral We came up to Michigan. A Gold Finch had hit my Mom's front door. Keep in mind that Gold Finches are very rare in Mi. I thought I would share this information, after trying to research the possibilities of why this would happen. Interesting string of posts. I'm an ornithologist and the son of one, and had never heard this association with death and birds hitting the window. Amber- our experiment can start now. A bird hit our window last Thursday, though actually this is not an unusual occurrence at our house as we have a sun room that sticks out the back of the house and is elevated above the walkout basement level so birds see windows on both sides of the room and think they can fly through. As of now no one is ill. No one is dying in the family. I'm not superstitious but not asking for trouble either. My sister, niece and I were with my father at the time he died, and at the exact moment of his last breath, a bird flew into the window of the room we were in. Later when I looked out the window a bird was perched across the way on a rooftop nearby, sitting quietly and appeared to be staring at our room. As you can imagine it was very disconcerting because the bird the hit the window at such a speed that it sounded like it could have broken it, and because we were so emotionally wrought, for this to have happened during that intense moment, it just startled us very violently. I imagine that would be pretty startling. Thank you for sharing your story hear. This is one of our more popular posts here, so by sharing you are helping other people put their own experience into perspective. Interestingly, many buildings these days have reflective glass that is confusing to birds too, so i wonder if that is increasing the frequency of bird hits. Here is a link from the Audubon society on minimizing window collisions: http://web4.audubon.org/bird/at_home/SafeWindows.html Obviously something to consider when building a hospital, nursing home or hospice facility. Once yesterday and twice today birds flew into windows at my house. Yesterday a dear friend passed. We shall wait and see. A bird entered our home the week of Halloween. My husband told me of the superstition regarding death coming to your home that I had never heard of before that time. Within 2 weeks my father died unexpectedly. I had a bluebird repeatedly tap and fly into the window in our sunroom for over a week on a daily basis. The following week my great aunt passed and then the week following her death my cousin Sharon passed away. Since they passed I have not seen the bluebird in my yard. One day while my dad was sick my mother, my husband and I were sitting at the kitchen table after a meal. This little sparrow was landing on a suction hook looking at us,fluttering its wings. We took down the suncatcher, maybe he thought it was an opening. It kept coming back, we took down the hook, washed the window and it kept returning. We were getting aggravated and concerned about the bird with this thumping on the glass. Next day it went to other windows where we were sitting in living room. The next day my dad passed. Later I found out about the legend. I came on to find out what to do with the injured sparrow that just hit my window. Must have only been stunned, it seemed ok and finally flew away. Here is my story ...My mom loved hummingbirds. She passed away in 1983. Anytime I see one, I instantly think of her. However, my dad passed away 2009. My brother reflected back to the time dad died and thought of his exact moment of where he was. 2 hummingbirds appeared in the desert of Arizona where he had been on a hunting trip with his arrows flipped with tips down taking a break. Maybe they were flying around as if the arrows were a flower, When he returned home to California, one of his grandchildren started a DVD, 2 hummingbirds flew across the screen that were part of the presentation. He had shared this experience at the funeral The reception following at his place, 2 more hummingbirds appeared and stayed a while. We believe dad met up with mom. A peaceful thought! a magpie not only hit my window,but came back and started pecking on top of windowfor about 3 minutes.my wife passed away last sept 2011 and i think its her spirit trying to tell me something. Thank you for sharing your story. It is amazing how so many people have experienced similar things. It is wonderful to find meaning in the world when it feels like nothing makes sense. The legend says, if there's a bird hitting your window, it's a sign of death. Do you believe in these silly superstitions? well listen to this. Now, superstitions may seem like silly jokes, but you never really know. Till this day, I believe this is true. This morning As I set reading a book on the couch...which is seated in front of our bay window.. I heard a loud thump..and a bad feeling went through me i turned and opened the curtains and there on my porch lay a robin bird dying from hitting the window...amd I then felt sick and my eyes filled with tears...not sure what it means if anything...so I started looking online which brought me here...I will just wait and pray its not a bad thing because I just lost my mom in Sept. The day before my husband died a mocking bird flew into his office window. It was only stunned so my husband had picked it up and revived it. Then it flew away. The next day he had a massive hart attack and died. I had not connected the dots until I had read your article. This has made be believe that there is a higher power somewhere out there. I don't know if it is has to do with religion or what but there is diffidently something. out my grandfather died. Even more, he passed away approximately the same time, and i found out later because of difference in time. bird flew in her house and became trapped the day her father died." Related to this, the image in this poem of a bird trapped in a house -- and then, against the odds, managing to escape -- always gives me hope. My guinea pig suddenly stopped eating and drinking last week. As he was getting weaker, a bird flew repeatedly for a few days at a window above where my pets house was sitting. It banged itself for hours at a time. In a matter of a few days, my little guy died in my arms. The bird behavior was not coincidental. It was bizarre and scary. Few years ago, one of my brothers passed. I didn't make it to his funeral because it was in Hawaii and I couldn't afford it. He was cremated and his remains we're brought back to me. Shortly after that, I fell into a deep depression. One morning, I woke up to a robin tapping on my bathroom window. That continues for about 9 months. Around the same time (6:30ish am) it literally woke me up and for some reason. I was happy to hear the tapping. This went on until another brother of mine moved close to me. Exacrly 1 year after he passed, another robin tapped on my window. Call me crazy but I believe this had to with my brother's death. Seeing the responses here, I don't think many people would call you crazy. Thank you for sharing. My husband and I always loved feeding and talking to the Stellar Jays that hung around our yard. Sadly my husband passed away from cancer a year and a half ago. A few days after his passing I was searching for an empty spot in the living room to place flowers when I heard a noise above me. There to my astonishment was a Jay perched on a hanging plant watching me. He then flew to my husbands favourite chair. I was so amazed I went to the den to get my camera where the bird proceeded to follow me hopping along the carpet. I got the camera, and the bird again perched himself on the chair where I took his picture. This is the first and last time the Jay ever came in the house. I will always treasure that picture as I truly feel it was my husband saying goodbye to me. One morning many years ago I was visiting my parents, and one morning a Cardinal kept hitting the family room window. My dad told me that he had been told as a child that a bird hitting a window like that meant someone in the house was going to die. Presumably the bird was there to take the soul to heaven. Well, no one in the house died that day. But my brother, who was traveling died that evening. I personally say coincidence, but this is how legends get started and perpetuated. btw - listen to Nanci Griffith's song "Gulf Coast Highway" sometime for what I believe to be a related theme. Thanks for sharing your experience. We always like recommendations for new music. We may cover it here some day too. Hello everyone I'm new to the discussion, but I wanted to know what does it means when a grayish white bird at your window and dies. In my house a bird was found dead with blood scattered around the walls and after a month my aunt has died. My mom has told me a story of when her grandmother passed away. Her grandmother loved mockingbirds and always used to say that if you heard a mockingbird sing at night then someone was going to pass away. Sure enough, my mom had been waiting on her in the hospital and decided to try to come home to catch some sleep. She went outside to do something and saw a mockingbird in the dark start singing, which was at an unusual time of year. When she went back inside, she got a call from the hospital saying her grandmother passed away.